Originally, we thought that when Ashton Kutcher took over on Two and a Half Men for Charlie Sheen, he’d be getting a much smaller paycheck than Sheen. Well, that is not the case…. at all. 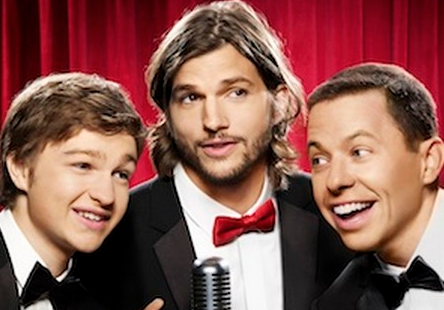 Kutcher is getting somewhere between $800,000 and $900,000 per episode…. plus of course he will be receiving those hidden bucks that the stars always get…. So, yeah. Ashton is going to be receiving right about $1 million per episode. Charlie Sheen was getting $1.25 million an episode plus his profit sharing…. totaling about $2 million per episode. I wonder what Sheen will be getting for his new Anger Management show?